The highly anticipated Battle Frontier has opened its doors for everyone on March 15th. 100s of players have already been there right from the start and tested everything available (if you want to see what you can do in the BF click here ). This of course adds a few more variations to PvP and rounds it off further. The tutors in the Battle Frontier have got some small changes. Some attacks have been removed. In the last days there were some small bugs which were fixed quickly. It should now be playable for everyone without any problems, have fun with the challanges. For PvP smaller hurdles were to overcome as well, like for example in 2vs2 the Team´s were not assigned correctly or had too little Pokémon. 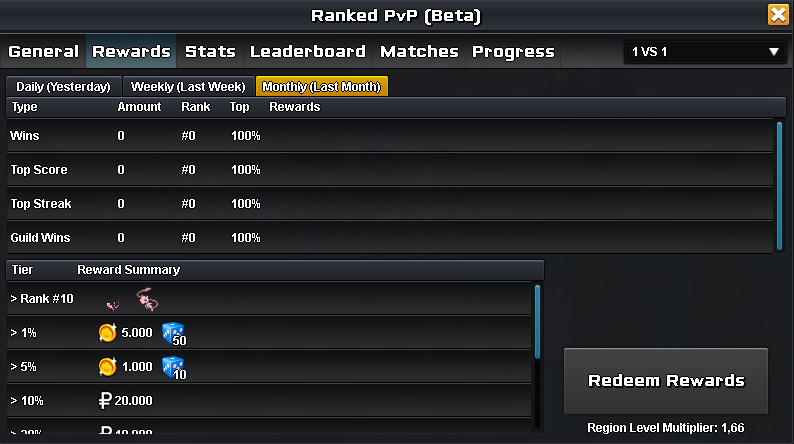 Almost all PvP bugs are fixed and the PvP system runs very well. Unfortunately, there's a bigger problem if one of the players doesn't select an attack then the Artificial Intelligence (AI) continues to play. Apart from the fact that we still have no rules for laddering and we play the so-called "Anything goes" mode, which makes PvP really crazy, it's a lot of fun. We wish all the ladderers a lot of fun and the Daily, Weekly Monthly Rewards are very well designed also. Prices can vary from gold to rare unique Pokémon like Mew. So make an effort! PokéOne has introduced a new payment method for the IV-Reroll system. This is now paid for with a new item, the so-called Reroll token. From now on you can only change the IV of Pokémon with a Reroll token. Until 27.03 you still have the opportunity to purchase Re-Roll Token´s for 100 gold. 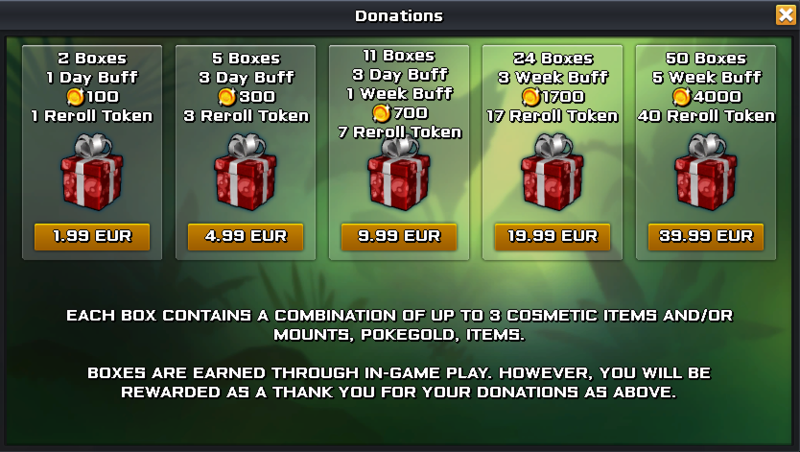 You can get the Token´s in the Battle Frontier, as a PvP reward or in bought boxes. The loot boxes in the real money shop have 2 new items added. If you buy some you get from 100 to 4000 gold and 1 to 40 tokens extra. But you can see this in the picture below. The move Rollout did cause some problems. When an Npc used the attack it was 5 times stronger on the the first attack already and did massive damage directly. This has been fixed. Last but not least some great news: PokéOne will be updated to Ultra Sun and Ultra Moon from the Attack Set in the next patch. This allows a lot of new tutorial attacks! > this allows us to implement moves like Defog as move tutor moves which we plan to do for BF. > Can be obtained from Battle Frontier, PVP Rewards & Donations only at the moment. - For donations, Reroll Tokens have been added and fixed Gold rewards increased.